Erbakan’s political ambition gradually strained the relationship to the Iskenderpaşa community, causing the latter to recede from politics.10 As long as Kotku was alive, this public rift was contained. But in 1978, two years before Kotku’s death, Korkut Özal, then a senior figure within the National Salvation Party, led a quiet rebellion against Erbakan’s style of management, claiming to have received Kotku’s blessing for his revolt.11Following Kotku’s death, leadership of the community passed to his son-in-law, Professor Esad Coşan. Coşan further distanced the order from Erbakan, and for all practical purposes severed the link between his lodge and Erbakan’s politics. The lodge itself subsequently declined in influence; Coşan left Turkey for Australia following the 1997 military intervention, where he died in a car accident in 2001. 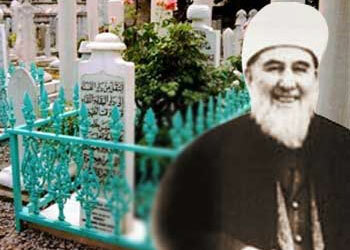 He was succeeded as sheikh by his son, Nurettin Coşan, who remains in Australia. While the religious leadership of the lodge is a thing of the past, its lay followers constitute the core of the AKP’s leadership, underscoring its outsized influence on Turkish politics. The Nurcu emerged as a civil society initiative, which was even illegal from 1965 until 1985. Under the government of Turgut Özal, himself a Naqshbandi-Khalidi follower, the criminalization of the propagation of Sharia was abolished with changes to Article 163 of the Turkish penal code. This legal mechanism had been used to block most religious activities in Turkey. Its removal allowed Nurcu groups to spread beyond informal study circles in members’ homes, or sohbet, to begin organizing foundations and associations as well as student dormitories, known asyurt. These provided an ideal environment for informal religious education, and made the Nurcu perhaps the best-organized and most widespread religious movement. With some exceptions, the Nurcus have tended to abstain from direct party politics; until the creation of the AKP, they supported secular center-right parties rather than the Islamists of Necmettin Erbakan. While the Gülen movement is a Nurcu group, its sheer size and influence alone means it deserves separate treatment. Fethullah Gülen is the most prominent religious figure to emerge from the Nurcu movement. He began his activities in Izmir in the 1960s; at the time, a religious vacuum obtained, owing to decades of state policy. A generally more permissive environment had crept into Turkey as well. Gülen took advantage of this setting. His movement refers to itself as the Hizmetmovement, literally meaning “service,” a term taken from Said Nursi’s concept of Hizmet-i imaniye ve Kur’aniye, or service to the faith and Quran. Its aims include the creation of a “golden generation” through education. Already in the movement’s first publication, Sızıntımagazine, Gülen urged his followers to focus on the education sector. The Işık evleri, or private student residences, were the first education institutions of the movement. This is where the Risale was taught in a programmatic and systematic manner. In 1982, as Özal facilitated the establishment of private educational institutions, Gülen moved to turn a student dormitory into his first school, the Yamanlar koleji in Izmir. Upon his death in 1959, Tunahan was succeeded by his son-in-law, Kemal Kaçar, who accelerated the process of expanding Quranic courses and student dormitories. This was facilitated by the movement’s support for Süleyman Demirel’s Justice Party, through which Kaçar served as a member of parliament for three terms. Upon Kaçar’s death in 2000, a struggle for leadership broke out between the brothers Ahmet and Mehmet Denizolgun, Tunahan’s grandsons from his other daughter. This led to a split in the movement, but not to its withdrawal from politics: the brothers simply supported different parties. Mehmet became a founding member of the AKP, while Ahmet—who controlled most of the movement’s support—shifted political affiliations. He was elected to parliament in 1995 on the Welfare Party ticket, but quit the party following the 1997 coup. He kept his seat in parliament, and was briefly appointed Minister of Communications for the Motherland Party (ANAP) under Mesut Yılmaz’s government in 1998. The movement supported the shrinking ANAP in 1999 and 2002; in 2007, Ahmet Denizolgun ran on the ill-fated Democrat Party ticket; in 2011 and 2015, his block supported the Nationalist Movement Party (MHP), with the movement’s vote purportedly a crucial factor in helping the MHPovercome the 10 percent threshold in 2011.13 Thus, the group stands out in that a large portion of it never supported the AKP. The Menzil are a Naqshbandi-Khalidi community based in Adıyaman that quickly branched out into Ankara and Istanbul. It began to spread rapidly after the 1980 military coup, partly because of its reputation as a religious order supportive of the state. As a result, it spread across western Turkey as one of the fastest-growing religious orders in the country. Like many religious communities, it tended to support center-right parties until the creation of the AKP. In fact, many former right-wing activists whose death sentences were commuted after the coup joined the Menzil order. Moreover, the late founder of the National Unity Party, Muhsin Yazıcıoğlu, was close to the order. In the AKPgovernment, two ministers have been known to represent Menzil: Energy Minister Taner Yıldız and Health Minister Recep Akdağ. In 2005, the movement created a business association, TÜMSIAD. In a testament to the order’s clout, TÜMSIAD boasts 15,000 members, and in June 2015, TÜMSIAD leader Hasan Sert was elected to parliament as anAKP member. The AKP actively and purposefully sought to build a big-tent party that could capture the different constituencies that had supported the center-right. This included outreach to non-religious voters, especially in the initial phases. But more than anything else, Erdoğan’s power rested on a coalition of religious orders and communities. Erdoğan’s tactics did not differ from those earlier center-right parties who had eagerly courted religious communities. The difference was that now a core elite from theMilli Görüş tradition did the courting, urging all religious communities to unite under one roof. By skillfully handing out favors including political appointments and a share of the economic pie (in particular, government contracts in construction), Erdoğan built a model of political leadership that was strongly dependent on the support of religious orders and communities. Whether in Ottoman times or during the Republic, the Turkish state has made control of religious affairs a priority. In Ottoman times, this function was fulfilled by the Ulema under the leadership of the Sheikh ul-Islam; following the creation of the Republic, the Diyanet Işleri Başkanlığı, or Directorate for Religious Affairs, fulfilled this role. While the Diyanet only recently became a powerful institution in Turkey, it has long kept control over the religious sphere. 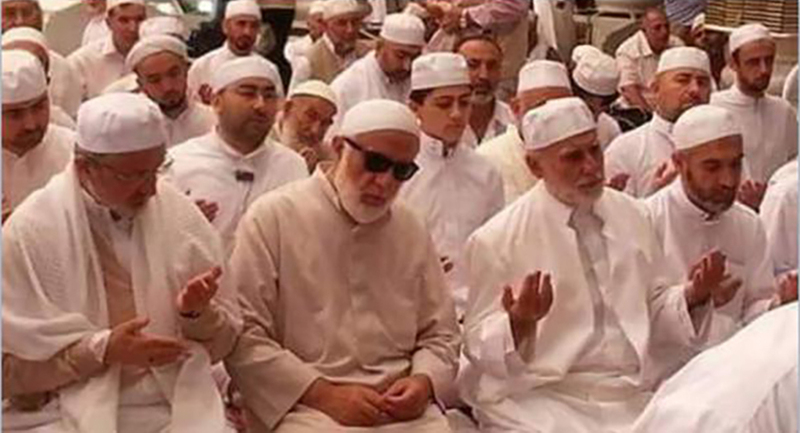 All imams in every mosque across Turkey were appointed by the Diyanet, which sanctioned their Friday sermons. This provided an important counter-balance to the lack of hierarchy within Sunni Islam, which has led to the often chaotic proliferation of more or less radical religious groups across the Muslim world. Whereas Muslim youths in Europe are often subject to radicalization in mosques run by radical imams, the role of the Diyanetin Turkey considerably reduced this risk. But as noted, the cadres of theDiyanet were often insufficient to man all the mosques in the country, and the Diyanet itself was the subject of infiltration by various religious communities. On the whole, however, the hierarchical nature of the organization fulfilled an important function of moderating and controlling religion in Turkey, and state authorities always ensured that religious communities did not achieve total control over the Diyanet. As the size of Diyanet grew, so did its social role. In 2011, the Diyanetbegan issuing halal certificates for food products; the next year, it opened a television station. The Diyanet now produces fatwas, including on demand: it established a free telephone hotline that provides Islamic guidance on everyday matters.25 Unsurprisingly, the number of fatwas being issued is rising rapidly. Legally speaking, the Diyanet’s rulings carry no weight. Following them is entirely voluntary. However, it certainly has an effect on the conservative masses.